Installing artificial grass is a great way to tidy up your backyard and add value to your home. In fact, it’s becoming the preferred lawn option in backyards all over Australia! Not only is it stylish and practical, it will also save you a tremendous amount of money on water bills. You’ll save time as well, meaning you can stop mowing the lawn and devote your attention to the things in life that really matter. Because there are a lot of things to consider when buying artificial grass, it can be difficult to wrap your head around which style of lawn is best for you. There are so many different types out there, and each one offers different benefits. We believe it’s important to match each customer with a lawn that is perfect for them, so we’ve put together this handy guide to artificial grass. We’ve even thrown in some inspiration at the end for good measure! 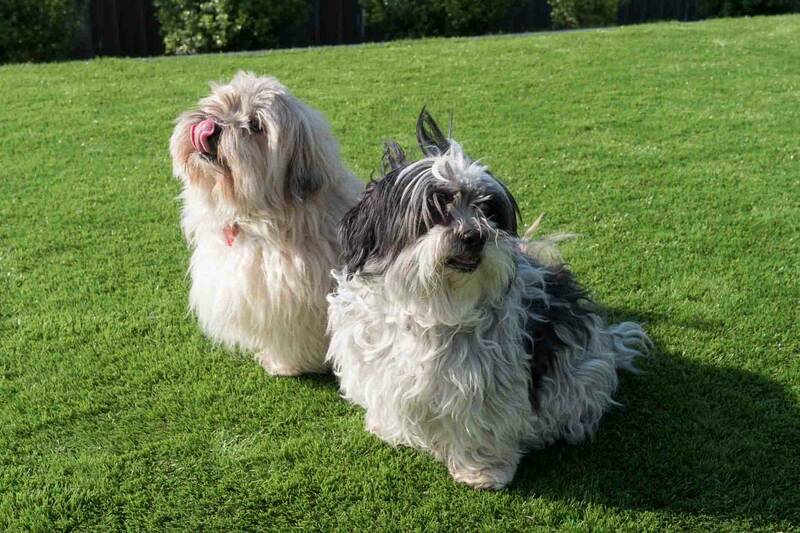 Artificial lawn offers a whole range of benefits – just ask these two! Life is getting busier and people are starting to have less time on their hands, so the less time spent maintaining your garden, the better. Artificial grass doesn’t require regular watering or mowing, meaning you can spend more of your downtime doing the things that really matter. On top of that, you’ll save money on the water bill! The only maintenance artificial lawn really requires is the occasional spray down with a garden hose. This will ensure the lawn stays clean and odour-free – great if you’ve got pets that like to do their business in the backyard! You’ll no longer have to spend your Saturdays weeding the garden, and any weeds that do manage to poke through can easily be pulled out in a matter of seconds. On top of all this, artificial lawn also looks great! It stays lush and green all year round without water, meaning your yard will always look tidy and presentable. Artificial grass is the way to go if you’re after a tidy backyard that requires minimal attention. Artificial grass will tidy up your backyard and add value to your home. 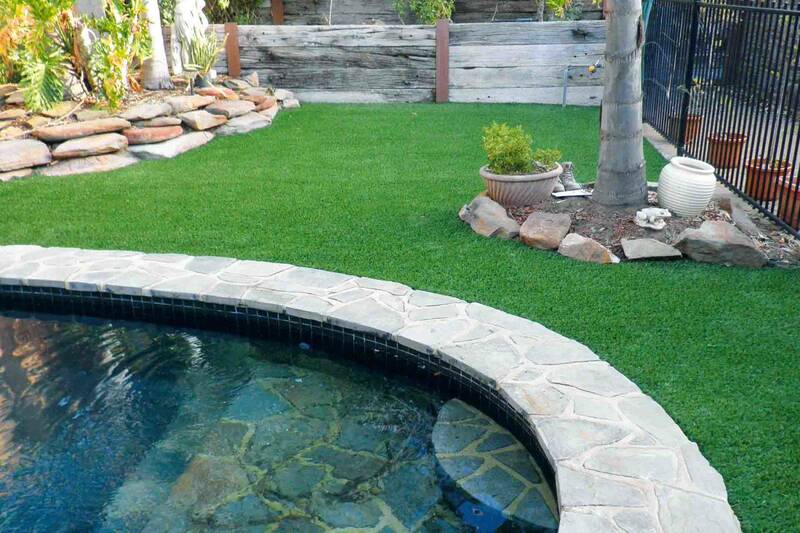 What types of artificial grass are available? 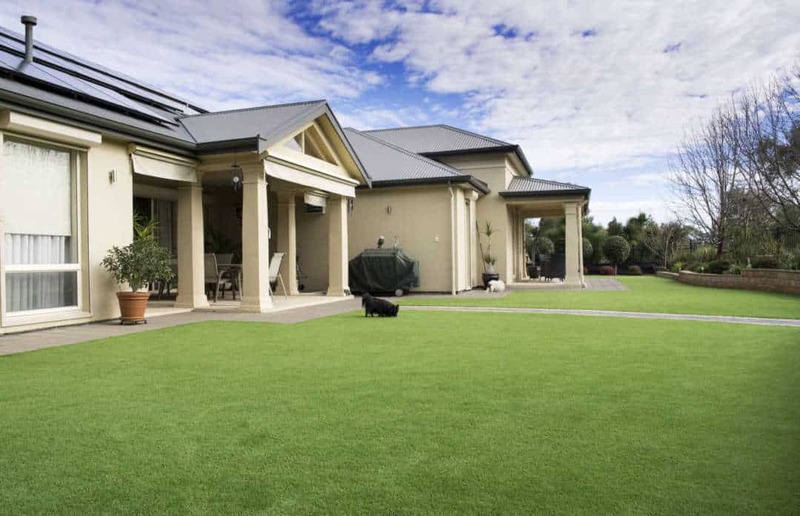 Australian Outdoor Living offers four different types of artificial grass, meaning we’re bound to have something to suit your home and lifestyle. The Fairway offers durability, practicality and realism. Its 20mm pile height makes it suitable for playgrounds and areas with a high amount of traffic. It’s perfect for families with young children and pets, making it one of the most popular choices in our range. Our Fairway range comes with a five-year warranty, and is very resistant to UV rays. It’s isn’t as soft as other grasses in our range, so if you’re looking for something a little more spongy, the Fairway might not be for you. If you’re after a softer grass, our Augusta range might be more your speed. Its 35mm pile height means it’ll feel soft and spongy underfoot, making it a more luxurious option. The Augusta is impressively realistic, incredibly durable and totally resistant to UV rays. It even comes with a seven-year warranty, giving you total peace of mind after you buy. With a pile height of 37mm, the Savannah Broad Leaf is the tallest grass in our range. Its wider blade also makes it the most realistic, similar in appearance to many natural grasses. It’s soft and durable, and it’s the most luxurious grass in our range. It also comes with a seven-year warranty! The name says it all! Multisport offers the perfect surface for anyone looking to get active in their backyard. Boasting a pile height of 10mm, it’s great for mini-golf, backyard cricket, lawn bowls and any other sport that might require a flat surface. If you’re still sitting on the artificial grass fence, check out some of these amazing installs we’ve done over the years. 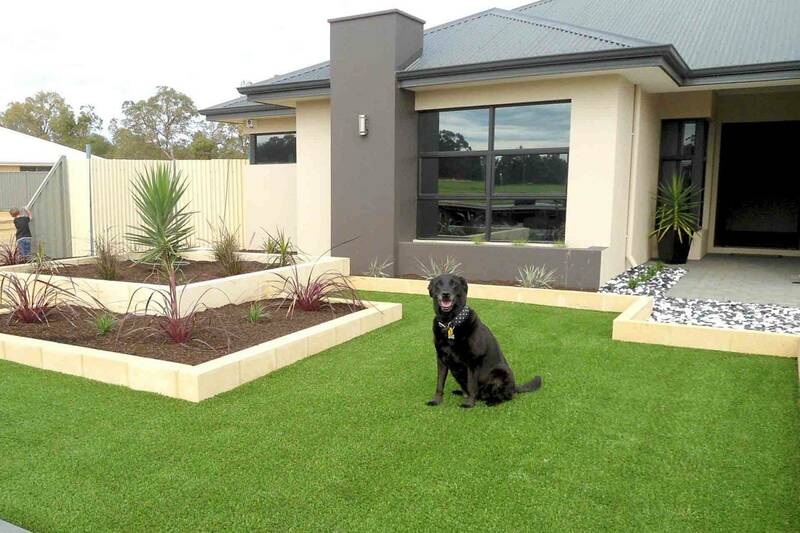 We love what this homeowner has been able to achieve simply by adding artificial lawn! They’ve created a luxury outdoor space that doesn’t require any maintenance, and it’ll look like this all year round. Artificial grass stays perfectly manicured all year round. This customer created a private oasis in their very own backyard. Who needs a holiday when you’ve got a paradise right outside your back door? 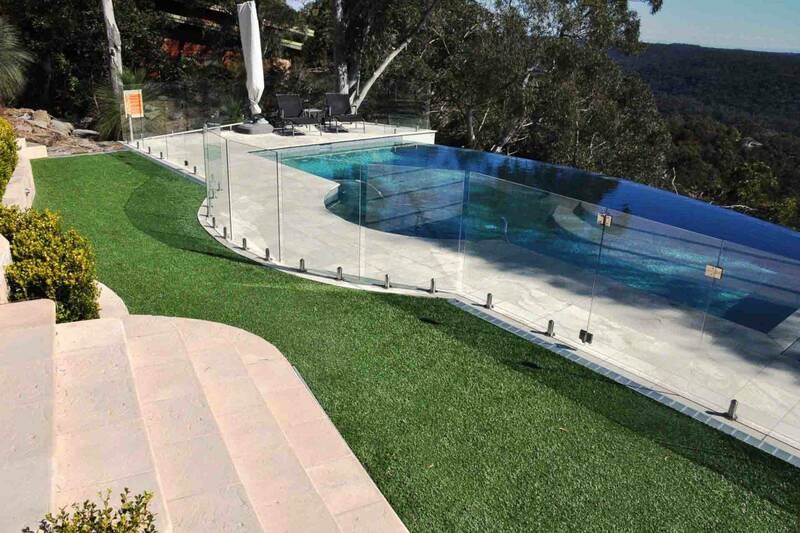 Artificial grass mixed with a fibreglass or concrete swimming pool is a winning combination. This is one of our favourite installations. Imagine coming home to this view and backyard every day. The artificial grass goes well with the bushland setting, while the infinity pool adds an element of luxury. Artificial grass fits in seamlessly with this bush setting.